We’re pleased to announce the release of our 2016 Annual Report. Our theme this year is Connection. Together we support people at risk of suicide. Connection is the essence of our work. 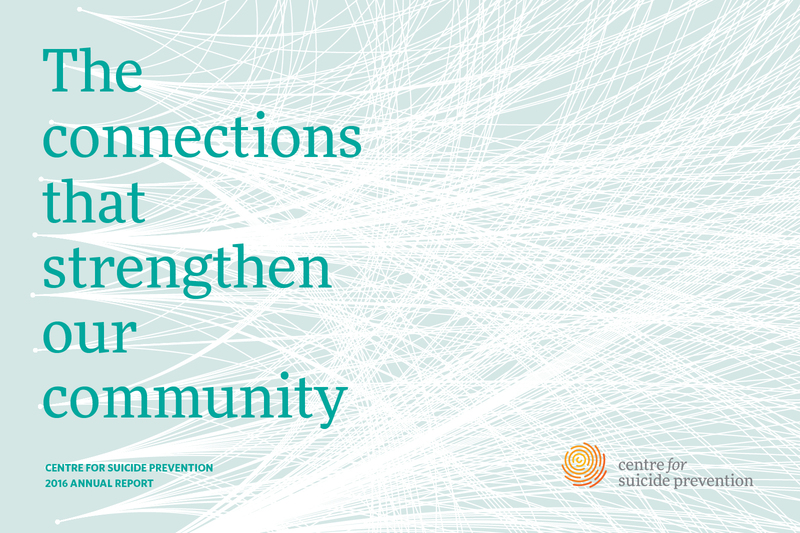 For the past several years, Centre for Suicide Prevention has been rekindling old and forging new relationships across vulnerable populations, organizations and governments. 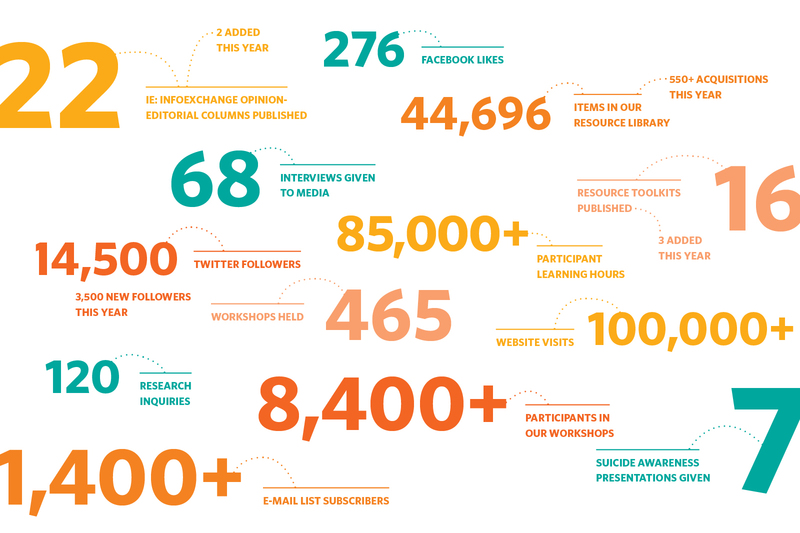 Collaborative efforts with hundreds of Alberta agencies, and with specific groups such as the Mental Health Commission of Canada, the Public Health Agency of Canada, the Canadian Association for Suicide Prevention and the Government of Alberta allow us to influence policy and reach a wide audience with our message. Knowledgeable and coordinated community connections strengthen our mutual efforts to eradicate suicide.